A marginal win last time out got United back to winning ways and within two points of the top four, with Fulham desperate for three points as they stare relegation in the face. Back on track, Ole Gunnar Solskjær will have had lots to think about in the week, as a Champions League debut looms. Claudio Ranieri, on the other hand, has almost two weeks without a game following this encounter. Plenty is at stake at both ends of the Premier League table inside Craven Cottage to get the weekend started. Struggling near the bottom of the table, it was a disappointing transfer window for Fulham – especially with new signings Lazar Marković and Håvard Nordveit not fit to make their respective debuts yet. Ranieri worked miracles last time he managed in the top-flight by winning the title and might need to work another one to secure survival for Fulham as they sit seven points from safety. Fulham also released a half-and-half 140th anniversary shirt on Friday, to be worn in this year’s pre-season. (3-4-3) Rico; Odoi, Le Marchand, Ream; Christie, Chambers, Seri, Bryan; Cariney, Mitrović, Babel. 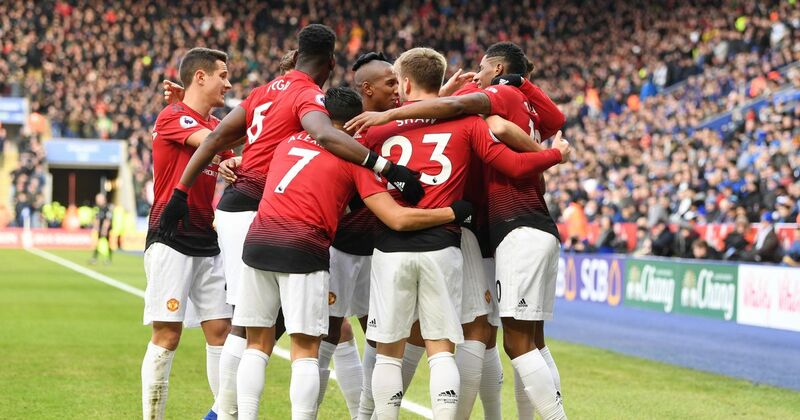 A beautifully-worked goal scored by Marcus Rashford was enough to beat Leicester City last weekend, but United drastically went off the pace once they had scored and had to show steal to take all three points – moving the reds up to 5th and just two points behind the top four. With one tough test already conquered, this is arguably the least difficult test on paper this February. Three competitions are to play for in a nightmare run of fixtures – including Paris Saint-German, Chelsea and Liverpool in the space of 12 days before facing Crystal Palace days later. Just four hours after the victory at the King Power Stadium, Solskjær and Mike Phelan jetted to Lyon to scout PSG – as they lost their Ligue 1 game of the season. Alexis Sánchez and Ashley Young put in less than convincing performances in the win, so are likely to be dropped for some fresh faces as some rotation is expected ahead of the home leg in the round-of-16 on Tuesday. Craven Cottage has been a prosperous venue as of late for United, winning the last three by the River Thames. Chris Smalling could make his first appearance under Solskjær for United as he returned to full training last week. On Friday morning, Phil Jones signed a new four-year contract at the club, with an option to extend it a further year as Solskjær stated it was a ‘signal’ for the belief in the players who have been awarded new contracts. Also, later that day, Solskjær and Rashford were also given Premier League manager and player of the month for January respectively. (4-1-2-1-2) De Gea; Dalot, Bailly, Jones, Shaw; Matić; Herrera, Pogba; Mata; Lukaku, Martial.